The barebones PC runs on an Advanced Micro Devices G-series embedded processor, and the design documents were made available just a few weeks after the release of MinnowBoard, the first open-source PC based on an Intel x86 processor. Intel and AMD have been PC adversaries, and that now moves to the open-source hardware space. The Gizmo board originally started shipping in January, but the design was partly closed. The board has been available as part of the US$199 Gizmo Explorer Kit sold through online retailer Semiconductor Store. Schematics, designs and other information about the board are available on GizmoSphere's website. GizmoSphere's design documents go into detail about the components, manufacturing information and where parts were bought. 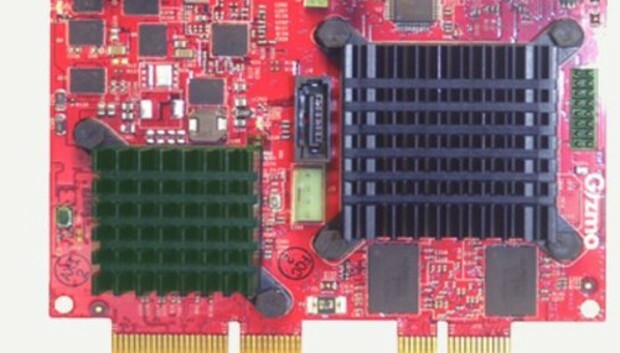 Using the information, hardware makers and developers can replicate the board from scratch. The Gizmo is compatible with Windows 8 and older versions of the OS, including Windows 7 and XP, making it a possible PC replacement. It could also be useful for developers who write applications for Windows operating systems. However, a Windows OS license would need to bought separately. Most open-source boards, including the MinnowBoard, run Linux, which will also run on Gizmo. The Gizmo board supports Ubuntu Linux and the Android 4.1 OS code-named Jelly Bean. The Gizmo has an AMD 64-bit G-series G-T40E dual-core CPU running at 1GHz, 1GB of DDR3 memory and 1MB of cache. Gizmo claims its board provides 52.8 gigaflops of performance. By comparison, the MinnowBoard has a single-core 32-bit Atom E640 processor, 1GB of DDR2 RAM and 512KB of cache. The Gizmo's integrated Radeon HD6250 graphics supports DirectX 11. It also has a DisplayPort outlet and does not support HDMI, which is a feature on MinnowBoard. Other Gizmo features include a VGA, USB and Ethernet ports. The board does not enable UEFI boot firmware, which is one of the key features on MinnowBoard. Raspberry Pi is the most popular, and perhaps well-known, open-source PC and finds use as a media player and in a wide range of products, including jukeboxes and aquatic vehicles. Besides hacking, open-source PCs are used to develop and test applications for mobile devices, electronics, embedded products and PCs.